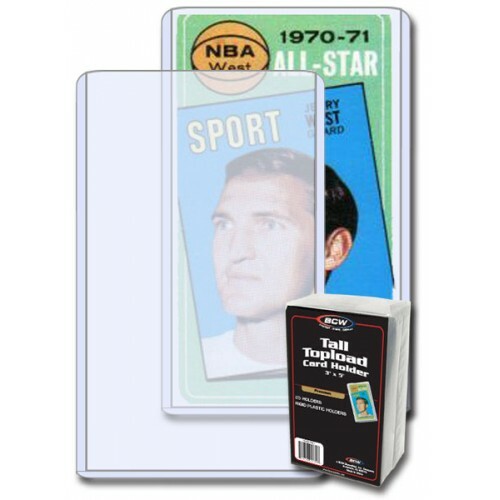 Case of 500 BCW Tall / Widevision Trading Card Topload Holders. Packaged as 20 packs of 25 packs per case. The BCW tall card topload holders are designed to hold cards, photos orprints that measure no bigger than 2 11/16 X 5 13/16. 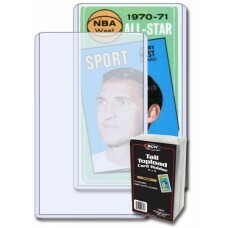 Do you have any questions about Case of 500 BCW Gameday / Widevision / Tall Tradng Card Topload Holders?